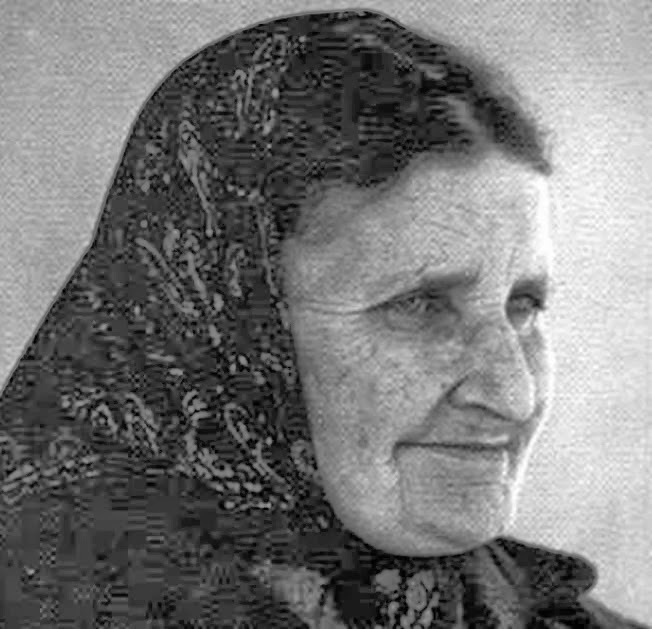 Maria Valtorta (1897-1961) was an extraordinary Italian laywoman and mystic who was given an series of visions of the life of our Lord, beginning prior to His birth, and ending with the Assumption of the Blessed Virgin Mary into heaven. Asked by our Lord to write down these visions, she lovingly complied, even though at the time (and until the end of her life) she was completely bedridden due to a spine injury, and was suffering intensely due to a combination of at least two other serious illnesses. She began writing the visions into notebooks beginning in the year 1943 and continued (even during the war) until 1953. When completed, the visions, covering the entire life of our Lord, consisted of about ten thousand hand written pages, which were compiled and published into a monumental work entitled “The Poem of the Man-God”, Centro Editoriale Valtortiano srl, 1989. 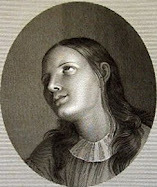 Along with the extraordinary work of The Poem of the Man-God, she was also given another five thousand pages of additional writings, which include commentaries on Biblical texts that her guardian Angel (named Azariah) gave to her, along with some extraordinary biographal information and histories of the first Christian martyrs (some of whose martyrdoms she saw in the visions that she was given), and some doctrinal lessons that she was given through a “interior voice” also known as an interior locution. Some of these other works have now been published under the title of “Maria Valtorta –Notebooks” which have been published in series, and also “The Book of Azariah” which contain the spiritual guidance and enlightening information that her guardian Angel gave her. Maria had an extraordinary love for God and for souls. People often came to visit her, to be strengthened and encouraged by her kind words and her gentle smile. Having suffered deeply herself, she understood their pains and sufferings, and was able to guide and encourage them in accepting their daily crosses. This “spiritual apostolate” for souls was only a part of her life as a victim soul, which consisted primarily in the offering of her many sufferings in union with Jesus in reparation for sinners. In her visions, Jesus often called her “little John”, in reference to His beloved Apostle John, the great lover of Jesus. 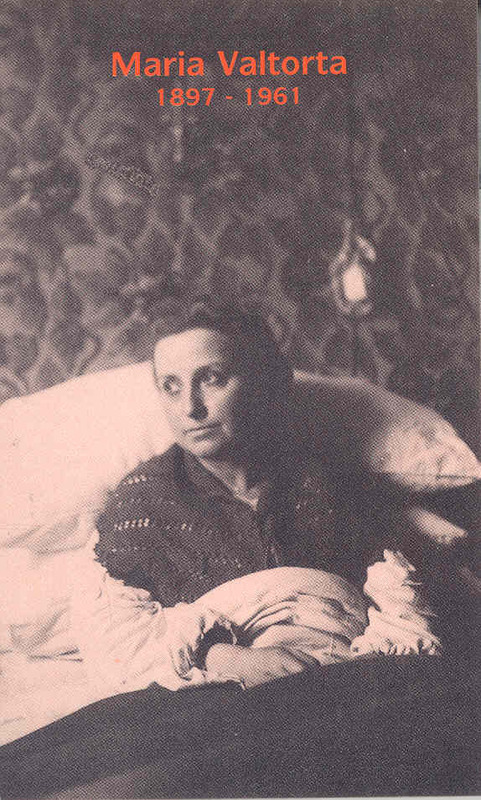 Her life may be divided into two stages: Firstly, from her birth to the paralysis of her legs, which disabled her at the age of 37; the secondly from the time of her paralysis, which left her completely bedridden until her death in 1961, 27 years later. About ten years ago, over the course of about 6 months, I read all five volumes of “The Poem of the Man-God”. Since then, I have re-read certain parts a number of times. I cannot even begin to explain the spiritual impact that this work made upon me. What an extraordinary grace it was to have read them! One is literally “transported” to the time of Jesus, walking along with Him and the apostles through the roads and towns of Israel. Not only does one get to know Jesus in a most intimate way, but also one gets to know and see the personality of each Apostle, along with some of the other disciples. 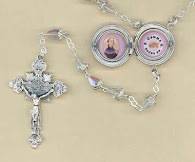 And then, there is our Blessed Mother and St Joseph! What an extraordinary grace it is to get to know them! And then also Mary Magdelene, Lazarus, Martha and the other women disciples, the shepherds…one can go on and on! But suffice it to say, The Poem of the Man-God is a most extraordinary work. Of course, it is not intended to supplant or replace the Holy Scriptures, but it does supplement them in a most wonderful way. [Jesus has just finished speaking to a crowd] “….The crowd that had gathered utters cries of joy and applause for the Messiah. Then they become quiet and open out to let pass a mother, who is carrying in her arms a paralytic child, child, about ten years old. At the foot of the staircase, she holds him out, as if she were offering him to Jesus. «She is one of my servants. Her boy last year fell from the terrace and broke his back. He will lie on his back all his life» explains the landlord. «She has been hoping in You all these months ... » adds the landlady. But the poor woman is so excited, that she seems to be paralyzed. She trembles all over and trips on her long dress while climbing up the high steps with her son in her arms. Mary, compassionate, stands up and goes down to meet her. «Come. Do not be afraid. My Son loves you. Give Me your child. It will be easier for you to climb up. Come, My daughter. I am a Mother, too» and She takes the child, smiling kindly at him, and then goes up with Her piteous load weighing on Her arms. The boy's mother follows Her crying. Mary is now before Jesus. She kneels down and says: «Son! For the sake of this mother!» Nothing else. The woman goes beside Mary. Jesus lays His hand on her head and says only: «Be happy», and He has not yet finished saying the words, when the boy, who so far had been lying heavily on Mary's arms, with his legs hanging loose, sits up all of a sudden and with a cry of joy: «Mummy!», he runs to take refuge in his mother's lap. The shouts of hosanna seem to be penetrating the sky now all red at sunset. The blind man kneels down: «My Lord! Have mercy on me! «Do you want to see? Stand up. How long have you been blind? The four apostles gather round the other two. «Seven years, Lord. Before, when I could see well, I worked. I was a blacksmith at Caesarea on Sea. I was doing well. The harbour, the good trading, they always needed me for one job or another. Jesus takes him to Peter's house, in the dim light of the kitchen garden, he places him in front of Himself, in such a position that his cured eyes may not see, as first sight, the lake still sparkling with light. The man looks like a very docile child, he obeys without asking questions. «Father! Your Light to this son of Yours!» Jesus has stretched His hands over the head of the kneeling man. He remains in that attitude for a moment. He then moistens the tips of His fingers with saliva and with His right hand He touches lightly the open, but lifeless eyes. A moment. Then the man blinks, rubs his eyelids as if he were awakening from sleep, and his eyes were dimmed. The man who is crying and laughing, stands up, and after a moment's hesitation between respect and desire, he lifts his face and meets Jesus' eyes: Jesus is smiling full of merciful love. It must be beautiful to recover your sight and see that face as the first thing! The man gives a scream and stretches his arms. It is an instinctive action. But he controls himself. And the man goes away, happy, sure of himself, while Jesus and His dumbfounded apostles get into two boats and begin their navigation manoeuvres. 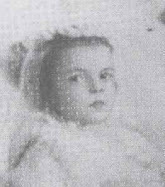 Maria Valtorta was born on March 14, 1897 at Caserta, Italy, where her father, Joseph, who was a staff officer in the military, was temporarily stationed. Her mother, Iside Fioravanzi, an educated and at times very cruel woman, reacted as though the child was not born to her, and she hired a wet-nurse to care for Maria. 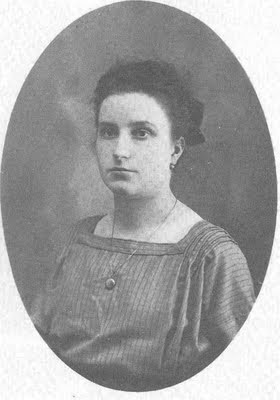 Soon after her birth, they moved to Faenza, and then in September 1901, the family relocated in Milan. There, Maria, a little over four, started attending a kindergarten run by Ursuline Sisters. There, she wrote: "I met the face of God and His love," (Autobiography, p.22) and "I never let go of Him" (ibid., p.24). 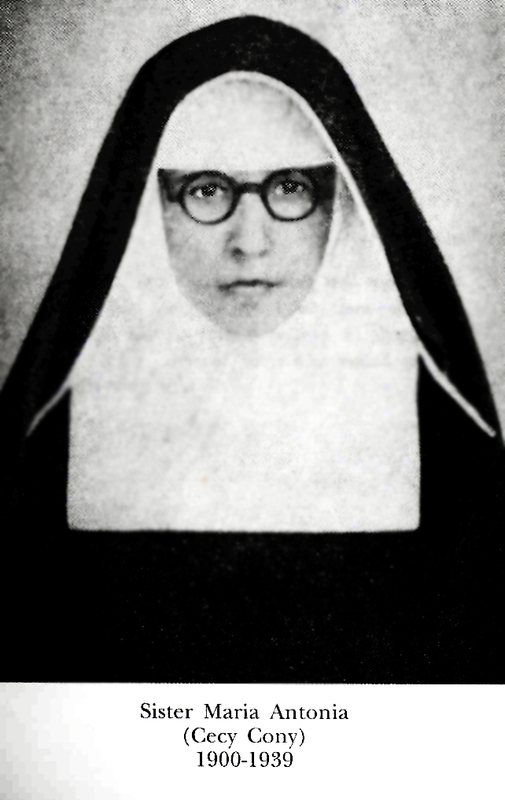 By the age of seven, in October 1904, Maria had entered the Institute of Marcelline Sisters to begin her elementary education. 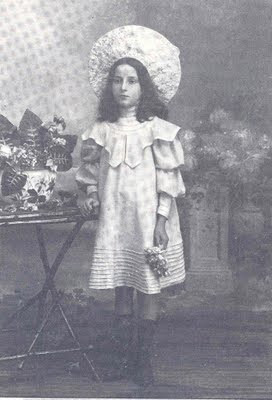 On May 30, 1905 she received the Sacrament of Confirmation at the hands of the Servant of God, Cardinal Ferrari. 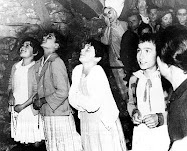 The Sacrament of Confirmation was, she said, "my Pentecost" (Ibid, p.25). 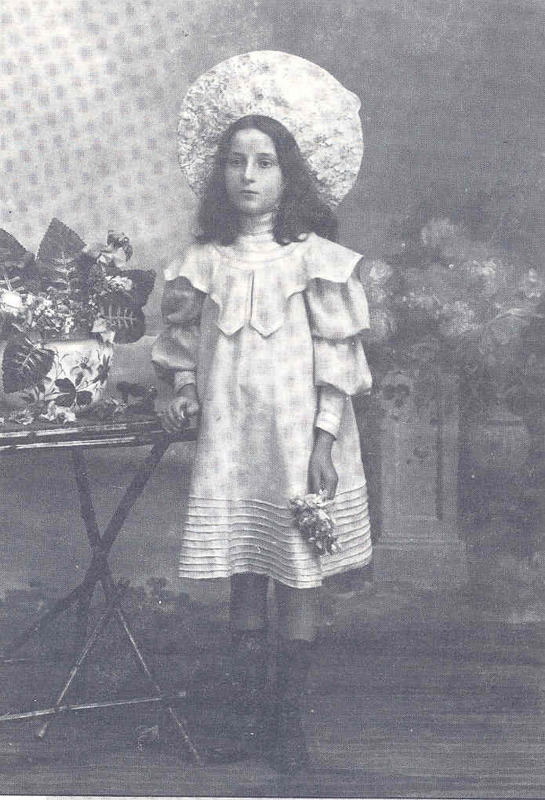 A few years later, her family moved to Voghera where Maria made her First Communion, at age 10 ,on October 5, 1908. On that day, her fusion with Jesus became "perfect" (ibid., p.72). 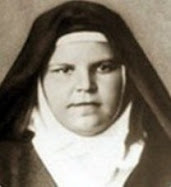 She entered the College of the Sisters of St. Bartolomea Capitanio in Monza on May 1, 1909 at the age of twelve. She remained there four years (five school years), and was held up to all as a role model. During this time, she was received into the congregation of the Daughters of Mary. In 1911, she obtained her diploma in technical studies. During the next two years she did supplementary studies in literature and the history of various countries. The Valtortas again moved on March 1, 1913, this time to Florence; Maria was almost 16. Her lifestyle remained like that of college. Twice, in 1914 and 1919 respectively, her mother, for selfish reasons, mercilessly and brutally broke up Maria's engagements with two fine young men. 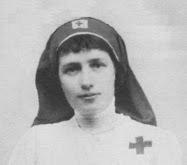 From early November 1917 until the summer of 1920, Maria generously sacrificed her time in war hospitals with the Samaritan nurses. There she caught a violent Spanish flu. After she had recovered from the flu, in September 1920, her cousin Belfanti invited her to Reggio in Calabria. Almost two years later, in 1922, she returned to Florence. 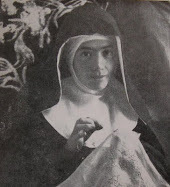 In the spring of 1923, Maria Valtorta made an initial offering of herself to God. By October of 1924, the Valtorta family had permanently established themselves in Viareggio, where Maria remained the rest of her life.. In Viareggio, on January 28, 1925, following the example of St. Teresa of Lisieux, Maria offered herself as a victim to Merciful Love. She renewed this offering daily for the rest of her life. 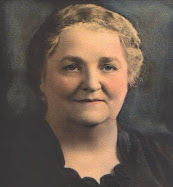 In December 1929, she joined Catholic Action and worked zealously for three years as a delegate for the culture of Catholic youth, giving numerous presentations and conferences. 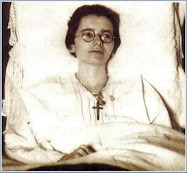 On July 1, 1930, Maria offered herself as a "victim to divine Justice." And, Divine Justice did not spare her: physical and spiritual suffering began to rain on her, and increased to the point where, by January 4, 1933, she could not leave her house. From April 1, 1934 until she died (that is, for 27 and a half years), she was forced to remain in bed. In 1943, she began receiving extraordinary visions of the life our Lord, which she was asked to write down, which later became the remarkable and unforgettable series of books entitled “The Poem of the Man-God”. In the countless visions, she was placed amidst the vision, almost like a spectator, and she thus saw the sights and smelled the various smells that were occurring in the vision. Her descriptions of the 1st century Israel contain such extraordinary descriptions and details that they have been studied by Archeologists and experts of various other natural Sciences, and have surprisingly confirmed numerous facts that were only known within some very small circles of academic science. 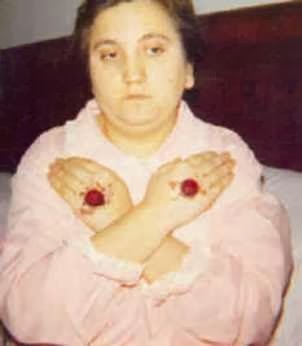 As Jesus was nailed to the cross, so, for the last 27 and a half years of her life, Maria Valtorta was nailed to her bed by various diseases. 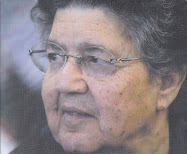 She found effective spiritual support in Father Romualdo Migliorini, O.S.M. On March 25, 1944, he received her in the third order of the Servants of Mary. At that time she was already a secular Franciscan. 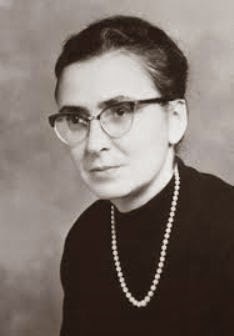 In the spring of 1949, Maria Valtorta, to complete her preceding offerings, generously gave to God everything which was "exclusively hers and which she had received from God: her intellect and the satisfaction to see her work approved" (Letter to Mother Teresa Maria of St. Joseph, Discalced Carmelite, April 18, 1949). God accepted Maria at her word. She saw the planned publication of her writings become hindered. Then from 1956 until her death, her mental faculties declined. 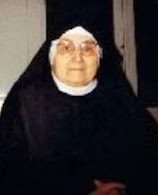 She died in the morning of October 12, 1961, at the very moment Father Innocenzo M. Rovetti, the Examiner of the Third Order of the Servants of Mary, was pronouncing the words recommending her soul: "Depart from this world, o’ Christian soul." Obeying, as she had always done, she left the earth for Heaven. People noticed that her right hand - with which she had written so many sublime texts - contrarily to her left hand, retained the color, suppleness and beauty of someone alive rather than dead. Thus in the end, the hand that became the “Pen of Jesus” was honored by God in a befitting testimony to the sacrifice of Maria, which was made with an extraordinary love and devotion. “Everything, everything has its reason in Creation, and everything has its mission given to it by the Creator. And I have mine: to suffer, to expiate and to love. To suffer for those who are unable to suffer, to expiate for those who are unable to expiate, and to love for those who are unable to love. I do not think of myself. I say to the good Lord –‘I trust You’ and that is all that I say to Him." ~Maria Valtorta, pray for us! Thank you for your comments. You raise an excellent point and topic for discussion. Firstly I would like to say that I intend never to publish or highlight any persons who have received a negative judgement from the Church (ie- Rome or the local Bishop). Firstly, we must take in consideration the fact that Mystics are often initially misjudged by certain spiritual directors, priests, bishops and others in authority in the Church. We see this to a great extent for example in the life of St. Padre Pio who for many years was heavily sanctioned by his local Bishop (Bishop Gagliardi). 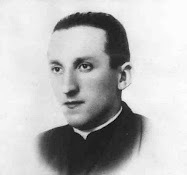 We see this also in the life of another mystic Saint Faustina Kowalska, who's now highly acclaimed diary containing the Church approved Divine Mercy revelations (cf- Divine Mercy Sunday) was at one time placed on the Vatican list of forbidden books. These are but two examples in the lives of extraordinary mystic saints who were initially, at one time misjudged by the legitimate Church authority. Concerning Maria Valtorta, there has been comments from church authorities both in favor and against her alleged private revelations. The most prominent statement in favor of her writings is the often cited approbation by Pope Pius XII who said "Publish this work as it is. There is no need to give an opinion on its origin, if it the extraordinary or not. Those who read it, will understand". Certainly the greatest statement against her revelations is the fact that at one time the "Poem of the Man-God" was placed on the list of forbidden books, which of course in itself was very contentious, given the fact of Pope Pius XII prior statement. And we can recall once again that St. Faustina's diary was also once on the list of forbidden books. 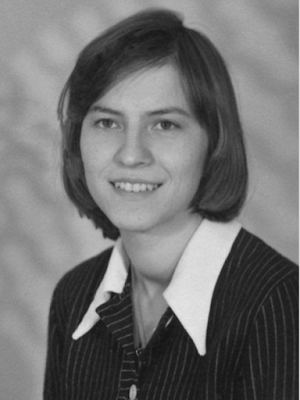 A cursory search of the Internet will produce a large number of documents containing opinions from Church authorities both in favor and against Maria's writings. There certainly is no formal or official Church judgement for or against her. And so, for the time being at least, one is left free to judge Maria's revelations with the lights given by God in his/her own conscience. Because of the extraordinary graces that are bestowed upon them by God, the Mystics of the Church will often be controversal. For this reason, in the Old Testament, we see that the Israelites killed almost all the Prophets that were given to them by God. Undoubtably, prudence and discernment are absolutely necessary, given that for every true Mystic, there are perhaps dozens of false one's. And we absolutely MUSY OBEY the decisions of the legitamate Church authroity, when they are pronounced. But Scripture tells us not to despise prophesy (ie- private revelations). And so, there you have my very long reply to a very short (but loaded) question! I certainly welcome your reply, and also the comments of others. Thank you for posting this wonderful section on Poem of the Man-God. I have the five volumes of this monumental work. I never knew there were any other works of Maria Valtorta published until I read what you had written. On a side note, Glenn, I have quite a few books on Therese Neumann. Do you plan on publishing anything on your website in regards to Therese Neumann? It is a pleasure to hear from you again. Thank you for your kind message. Yes, along with the Poem of the Man-God there are several other published works by Maria Valtorta, most notably are her "Notebooks" and also the "Book of Azariah" (words from her guardian Angel). As I recieve your comment, I am literally writing an article on Therese Neumann at this moment, and I am almost done...It is quite a work, because there is so much to say about her extraordinary holiness and mystical life. It will probaly be already published on this website by the time you read this message. Please bless my family and I.
I agree with the first post, Ratzinger is now Pope Benedict 16th, and has not repealed his negative assessment of Valtorta's books. Many of which have been heavily edited to remove the more offensive passages describing the sexuality of Jesus as a man. 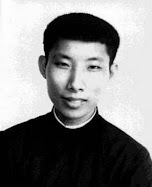 whose writings were withheld to the faithful because of problems with poor translations. In this age of mass media, we have to be particularly careful that what we pass on to others is not going to mislead. We are our brothers "keeper". "To know the mystery of God's nature is not granted to your very limited intellectual capacities, to your embryonic spirituality. But the mystery becomes more knowable for the spiritual, amidst the mass of so-called spiritual. The mystery is revealed with greater clarity to the lovers of the Son, to those who are truly marked by my Blood, because my Blood is Knowledge, and my Predilection is School." "Today is a great feast in Heaven because all of Heaven is today singing the Sanctus to the Lamb whose Blood was shed for the Redemption of man. You are one of the few, too few, creatures who venerate my Blood as it should be venerated; since it was shed that blood has been speaking with words of eternal life and supersensible knowledge. If my Blood were more loved and venerated, more invoked and believed in, much of the evil which leads you into the abyss would be dispelled." "One Must be able to read the Book not with one's eyes, but with one's spirit. Then the supernatural Knowledge which inspired it is illuminated with the light of Truth. But to obtain this one must have a spirit united to my Spirit. Then it is my Spirit that leads you. "'Even if compassion is shown to the wicked one, he will not learn justice; he will do evil things in the land of the saints and will not see the glory of the Lord. "'Therefore, listen to the word of the Lord, O mockers, the leaders of my people that is in Jerusalem. You have said, "We have made an alliance with death; we have formed a pact with hell: when the scourges pass by, they will not come upon us, for we have placed our hopes in deceit and by deceit we are protected." "'"Your alliance with death shall be destroyed; your pact with hell shall no longer exist; when the scourge tempestuously passes, it shall sweep you away with it. And only the exhaustion will make you learn the lesson." The Lord is Spirit. Your are, we are, flesh and blood with a spirit. How say you, is how God created Man? In the Likeness of Flesh or Spirit? In the Bible, the Lord warns of authorities who bends people to submission through, authoritative abuses such as making false claims that they are True Authorities when in actual fact they are shepherds, to which Jesus entrusted the Flock. When we adhere to the Laws of God, we do it out of Love. For Jesus said to Love One Another and By this love will they Know you are My Disciples. Does love bend people with false claims? No. This is not love. The Church was then Ordered By Jesus TO Love. Do you see love in those words of false words? Do you know God's Love in your soul? Does your heart beat for God? 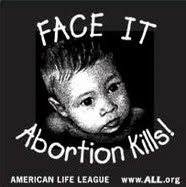 God gave to each man woman and child, intellect, reason, a mind and free will to exercise good judgment. When you blindly obey man, without looking yourself, you have misused your intellect, mind, will and reasoning. You have submitted to a man as your God. God is Your God. First Commandment. You shall have no other God's, this means any thing and any body. Many Catholics are duped int thinking that over their lies, God in Rome. No over their lies, shepherds who were called to tend the Flock with, Love. Not false claims and many foolish laws that are binding. They do not know how to distinguish the Spirit of the Law from the words therein. Thus, they are 'idolaters'. One can take a Religion and turn into an Idolatrous thing. As has been done by the Pharisees in Israel. The same has already occured in Rome. Do not be fooled by false claims. Thanks for your comments. Those who study the lives of the Saints soon discover the one thing that unites them all--obedience to the Church through the legitimate Church superiors. How many times has Jesus told the Mystics to obey their superiors, even if it runs contrary to what He desires! He wnats His followers to obey His representatives on earth, to teach us humility. In this article I provide the teachings of the Catholic church concerning private revelations, and also some examples from the lives of the Saints. The point is, private revelations MUST ALWAYS BE SUBMITTED TO THE CHURCH, and it is up to the Church, guided by the Holy Spirit, to decide its authenticity. The premise that you propose of the individual being able to judge for him/herself concerning the authenticity of private revelations is not Catholic--it is the "spirit" of Protestantism. Protestants make themselves the sole authority and interpreters of the scriptures and revelation. Catholics on the other hand submit to the legitimate authority and teachings of the Church, founded by Jesus on the Apostles, and guided by the Holy Spirit. Individual judgements in favor of of a private revelation/apparition where a negative decision has already been made by the Church (ie- local Bishop) sets up Jesus against His Church, and therefore is a folly. Jesus promised to be with His apostles "to the end of time." He founded His Church on the apostles, and the Bishops of today are the successors to the apostles. Remember Jesus said to His apostles --"Whatever you declare bound on earth will be bound in heaven.."
He did not found His Church on the private authority and intepretation of each person. All this is explaned in the link to the article that I provided above. This is why the wisdom of the Saints has ALWAYS been to obey the legitimate authority and judgements of the Church in all circumstances. We should not setup Jesus against His Church. In closing, the above comments are not in reference to Maria Valtorta, the subject of this article, but are the general guideline that the Church teaches concerning private revelations and obedience to the Church. I have already commented in another post (above) in regards to the current Church position concerning the revelations given to Maria Valtorta. I discovered "The Poem of the Man-God" in a Catholic Book Store a year ago; since then, I've devoured all five volumes and found them to be quite believable and inspirational. Although I'm just a Catholic layman, I believe I'm well versed in both the Holy Scriptures and the Catholic Catechism. And I found nothing in "The Poem" to be contrary to either of these. Holy Scripture itself has many incongruities but it's still considered "the Holy Word of God!" With all due respect to those who don't believe "The Poem" to be authentic, that's your right just as much it's my right to believe it. Valtorta gives very specific astronomical descriptions during some of the visions which Professor Van Zandt uses to make an intriguing scientific argument for the validity of Maria's visions. Thanks for your comments concerning the specific astronomical descriptions that Maria Valtorta was given in her visions. 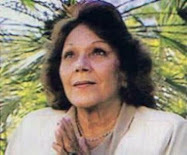 I know that there has been other specific scientific investigations into her writings, in particular the studies that were done by several historical language/linguistic experts who investigated the different languages she heard in her visions and transcribed in her writings, specifically, Aramaic, Greek and Jewish phrases that she transcribed form her visions. Venerable Father Gabriele Allegra wrote about these studies in his book "The Virgin Mary In The Writings of Maria Valtorta". Venerable Allegra himself was a expert in biblical languages, and is well known for performing the first complete translation of the Catholic Bible into the Chinese language. 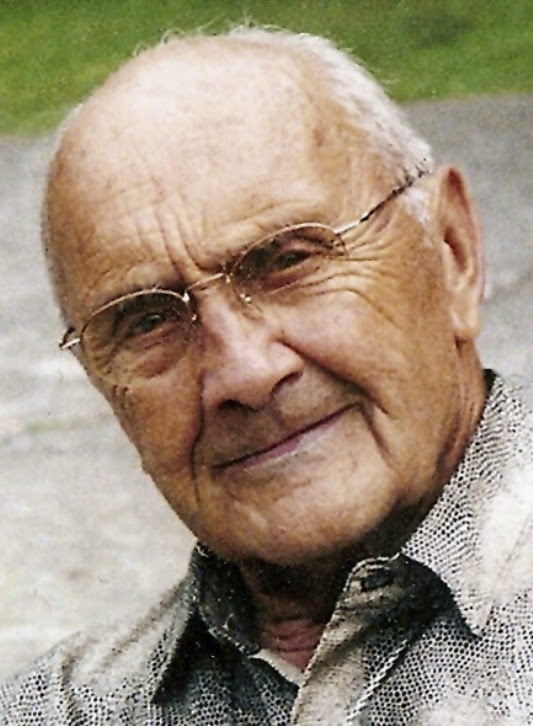 This remarkable feat took him 40 years, and gives evidence to his knowledge of Biblical languages. As revelaed in the abovementined book, he was very impressed by Maria's writings. He tells Luisa that we must first fall in love with His humanity, that would be Maria Valtorta. Then we will need His Mercy, Saint Faustina Kowalska, His love, Josefa Mendez, and the crown jewel is His Divine Will, Luisa Picarretta. Also, have you ever read Venerable Concepcion Cabrera de Armida (Conchita). She is a Mexican Wife, Mother, and Mystic. I believe you´d enjoy reading her as well. Your website is great! Good job! I am a huge Valtorta fan and wrote an e-book about Maria Valtorta and the Poem of the Man-God which www.mariavaltortawebring.com has hosted on their home page for download and Douay-Rheims Bible Online (which has 70,000 visitors a year) has also hosted on their website. I want to share it with you. This e-book is a comprehensive and well-researched guide to everything a Catholic could want to know about Maria Valtorta’s writings, including its importance, its history, its ecclesiastical status, how it compares to other revelations, the 14 proofs of its divine origin, its critics and defenses, amazing findings about Maria Valtorta and her revelations, and much more! This free e-book is the result of hundreds of hours of research over 6 months, utilizing a tremendous number of Internet and printed sources. To give you a taste of its level of depth and scholarship: it has 902 references/endnotes. This e-book covers literally almost everything you could want to know, including many things I bet you have never seen or heard about before. Why are there so many people against her writings? Is it because they live in sin, are disobedient to Church teachings and this mystic’ writings are reproach to them? Written Approvals of Maria Valtorta's writings by 8 BISHOPS! Te Deum, if there are people against her writings, it is not because they are living in sin, it may just be because they are trying to exercise due caution and seek to be obedient to the Church's ruling on these things, lest they be deceived. Discernment is an important part of the spiritual life. Thank you for the information about Mother Maria Cecilia Baij. I appreciate the suggestion and I am going to look into her life. I too am a big fan of Maria Valtorta. I daily read one chapter and sometimes more, from any of the volumes and it gives me great peace of mind and happiness.. I love my Jesus, our Blessed Mother and my beloved St.Joseph much more than I used to.. And the apostles.. lazarus..and sheperd Isaac..how great is their love for Jesus !! I still cry when i read the scene of Jesus appearing to Judas' (of Kerioth) mother Mary.. This book is really a treasure to us. May God Bless you and your great service through this web site. I though you onely used church approved mystics on your website.the church has comdemed this garbage on 6 or 7 occasions.one of the so-called seers of medgojorie claed that our lady said everyone should read this how could our lady say this if the church condems the same writing just goes yo show that medgojorie is fake just like the poeam of the man god is fake.concerning your website I love reading about the genuine mystics of th church well done. Amazing writings, no better gift - for one who truly loves Christ - than being able to follow Him step by step as He travels and preaches in Palestine 2000 years ago. A miraculous time-travel made true! Wonderful jewel the Poem, jewels also the Notebooks, the Lessons on Paul's Epistle to the Romans, the Book of Azariah, and even her Autobiography. Gifts straight from Heaven! Been reading them for almost 20 years now and always will! Boo is 100% right. Those who are fiercely against this great gift of God to mankind, live in sin; not only that, they have no desire to come out of it. Hi--anyone is able to download all 5 books of the Poem of the Man-God for free at Internet Archive: Archive.Org. The sight allows for free downloading and posts millions of public domain books. Is this book copyrighted or is it public domain? If it is copyrighted I can't allow myself to read a copy illegally. I went to Lulu.com and found that at least one of the books was listed as public domain. If I have to pay $350 for a set, I probably will just never read the books--how can I be helped spiritually reading material considered stolen or pirated? Someone please help. I have to agree with you as Jesus said, concerning the Law of God, "do as they say, but not as they do". This is actually paraphrased. Jesus explains in the Gospel the Bible version, about the Pharisees, Scribes and Sadducees who have usurped the Temple. They did not want to convert to Christ. Thus God destroyed the Temple because it offended Him and His Law which is to Love. They became selfish and took the place of God. They were God to the people. In the Poem of the Man-God Jesus warns, tells the Apostles and those reading the "Books" that again this same thing happens in future times. As specifics are written there in Book 5. And Notebook 1943. He explains Daniels vision and St. Johns the Beloved's Visions as being the same. For God does not differ in 'Visions'. They are one. He says when the Abomination which makes Desolate has come to pass, flee to the hills. A literal meaning here. Leave the places of worship where Breaking of the Bread has been cut off. The Daily Sacrifice ends literally. The Antichrist is already onboard. He is takes over Rome (Note just a place and building) For God is with our "spirits." Not in buildings made of stones. Jesus is the Headstone, Conerstone of the Spiritual Church. Thus there are three parts: Militant, Triumphant and Purgatory. As we all know, heaven is for the pure in heart and those who have been purified of demon and flesh. Lusts and become Love. The point of the Church Authority has become overdone. Gone beyond simplicity. God created 10 Laws. Man has created thousands. They all contradict or negate. Senseless. We follow Christ. When St. Peter was approached and reprimanded by the Pharisees concerning stop preaching the Lord Jesus, he said, I obey God. When the current church Authorities tell us that Jesus was just a man and change the Lords' teachings, do you obey them? Here is where the rubber meets the road. What do you do? Thank you for sharing your reflections concerning Maria Valtorta's writings here. The "Poem of the Man-God" (or "THE GOSPEL AS REVEALED TO ME" as it is entitled now) has also made a deep impression upon my spiritual life over the years, and it remains one of my own personal favorites. I am reading the poem of the God-Man for the fifth time and will continue to read them as long as I am in the flesh. If anyone really wants to know Jesus, then let him do the same. For to know Jesus is to love Him. Jesus' greatest desire is that all people would love Him. 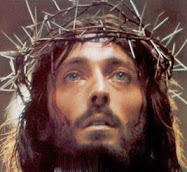 His greatest sorrow is that so many people don't know and therefore don't love Him. For this reason He gave this gift that we do not deserve but do need so much. I was a protestant, but the writings of Maria Valtorta helped me so much to know Jesus and His so beloved Mohter, and to love them. Thank you Jesus, Great Sheperd, for this precious gift to us, your sheep! You knew what we needed in this time af great apostasy! If it were not for Maria Valtorta's The Poem of the Man-God I would not have reverted to the Church. That being said, I think it is best that lay people untrained in theological matters study the Scriptures and the writings of the (canonized) Saints. The Church has a great wealth of material that a lifetime isn't long enough to digest. Dwelling on one mystic to the exclusion of the warehouse of treasures in the Church isn't the best of ideas unless one is called to a special study of that mystic. We have the Scriptures (the words of Christ) and the Blessed Sacrament in the Tabernacle (the presence of Christ) so mystics should (IMO) take a backseat to our daily meditations on the Scripture and our weekly Holy Hour. And of course Mass, the source and summit of our Catholic life. I write fiction for a hobby and my novel, my short stories, and my flash fiction are posted on www.Scribophile.com (under a pen name until I improve my style, of course!). According to the introduction in my copy of POTMG Valtorta wrote... "effortlessly, naturally, and WITHOUT REVISION." Note the "without revision" part. Even experienced writers would have a difficult time pulling off what Valtorta did and without revision. POTMG is extraordinary in many ways. Think of how unique and consistent were the characters of the twelve apostles and the other major players from the Gospels. Experienced writers struggle with that but Valtorta makes it look so effortless and easy. May God's will be done. 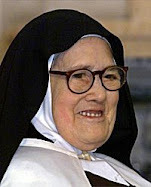 May God give me an obedient spirit about Maria Valtorta. I have hope for eternal life, and if Valtorta is in Heaven I want to thank her with all my heart for leading me back to the Sacraments. Summa and Encyclopedia to Maria Valtorta’s Extraordinary Work. The Divine Mercy Prayer is not considered ok by some traditional Catholics because it seems to replace the devotion to the Sacred Heart with a 'new age' kind of image, and because of certain references to the Blessed Sacrament which seem inappropriate There are other reasons, too. I am vague because I simply don't remember more than that - I read the entire book, the title of which I don't remember at the moment - and for quite a while prayed the Divine Mercy prayer. I ended up siding wit the critics in spite of the appeal of the short, simple and powerfully worded prayer. Your entry of Maria Valtorta is greatly appreciated. To anyone who will spend the time and read for themselves her writings they will find nothing contrary to Sacred Scripture, nor to Church teaching. The revelations given to her are inspirational and a source to be meditated on to grow deeper in our love for the Lord.